Do you remember your first A/B test on email? I do. (Nerdy, I know.) I felt simultaneously thrilled and terrified because I knew I had to actually use some of what I learned in college stats for my job. I sat on the cusp of knowing just enough about statistics that it could be dangerous. For instance, I knew that you needed a big enough sample size to run the test on. I knew I needed to run the test long enough to get statistically significant results. I knew I could easily run one if I wanted, using HubSpot's Email App. ... But that's pretty much it. I wasn't sure how big was "big enough" for sample sizes and how long was "long enough" for test durations -- and Googling it gave me a variety of answers my college stats courses definitely didn't prepare me for. Turns out I wasn't alone: Those are two of the most common A/B testing questions we get from customers. And the reason the typical answers from a Google search aren't that helpful is because they're talking about A/B testing in an ideal, theoretical, non-marketing world. So, I figured I'd do the research to help answer this question for you in a practical way. At the end of this post, you should be able to know how to determine the right sample size and time frame for your next email send. In theory, to determine a winner between Variation A and Variation B, you need to wait until you have enough results to see if there is a statistically significant difference between the two. 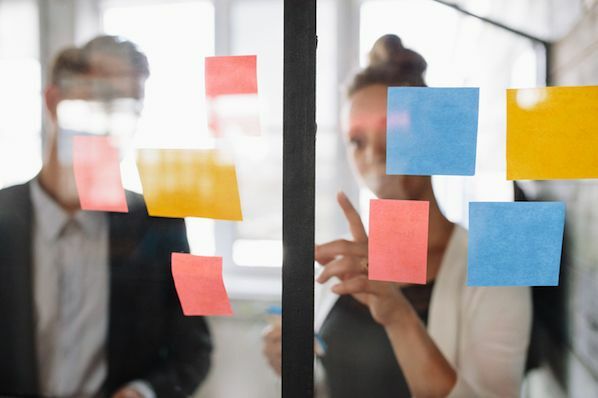 Depending on your company, sample size, and how you execute the A/B test, getting statistically significant results could happen in hours or days or weeks -- and you've just got to stick it out until you get those results. In theory, you should not restrict the time in which you're gathering results. For many A/B tests, waiting is no problem. 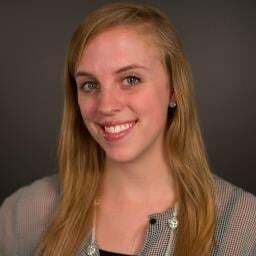 Testing headline copy on a landing page? It's cool to wait a month for results. Same goes with blog CTA creative -- you'd be going for the long-term lead gen play, anyway. 1) Each email send has a finite audience. Unlike a landing page (where you can continue to gather new audience members over time), once you send an email A/B test off, that's it -- you can't "add" more people to that A/B test. So you've got to figure out how squeeze the most juice out of your emails. This will usually require you to send an A/B test to the smallest portion of your list needed to get statistically significant results, pick a winner, and then send the winning variation on to the rest of the list. If you spend too much time collecting results, you could miss out on sending your next email -- which could have worse effects than if you sent a non-statistically-significant winner email on to one segment of your database. 3) Email sends are often designed to be timely. Your marketing emails are optimized to deliver at a certain time of day, whether your emails are supporting the timing of a new campaign launch and/or landing in your recipient's inboxes at a time they'd love to receive it. So if you wait for your email to be fully statistically significant, you might miss out on being timely and relevant -- which could defeat the purpose of your email send in the first place. That's why email A/B testing programs have a "timing" setting built in: At the end of that time frame, if neither result is statistically significant, one variation (which you choose ahead of time) will be sent to the rest of your list. That way, you can still run A/B tests in email, but you can also work around your email marketing scheduling demands and ensure people are always getting timely content. So to run A/B tests in email while still optimizing your sends for the best results, you've got to take both sample size and timing into account. Next up: how to actually figure out your sample size and timing using data. Alrighty, now on to the part you've been waiting for: how to actually calculate the sample size and timing you need for your next email A/B test. Like I mentioned above, each email A/B test you send can only be sent to a finite audience -- so you need to figure out how to maximize the results from that A/B test. To do that, you need to figure out the smallest portion of your total list needed to get statistically significant results. Here's how you calculate it. 1) Assess whether you have enough contacts in your list to A/B a sample in the first place. To A/B test a sample of your list, you need to have a decently large list size -- at least 1,000 contacts. If you have fewer than that in your list, the proportion of your list that you need to A/B test to get statistically significant results gets larger and larger. Note for HubSpot customers: 1,000 contacts is also our benchmark for running A/B tests on samples of email sends -- if you have fewer than 1,000 contacts in your selected list, the A version of your test will automatically be sent to half of your list and the B will be sent to the other half. 2) Click here to open up this calculator. 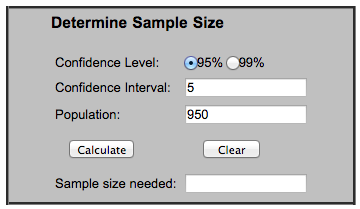 3) Put in your email's Confidence Level, Confidence Interval, and Population into the tool. Population: Your sample represents a larger group of people. This larger group is called your population. Confidence Interval: You might have heard this called "margin of error." Lots of surveys use this, including political polls. This is the range of results you can expect this A/B test to explain once it's run with the full population. For example, in your emails, if you have an interval of 5, and 60% of your sample opens your Variation, you can be sure that between 55% (60 minus 5) and 65% (60 plus 5) would have also opened that email. The bigger the interval you choose, the more certain you can be that the populations true actions have been accounted for in that interval. At the same time, large intervals will give you less definitive results. It's a tradeoff you'll have to make in your emails. For our purposes, it's not worth getting too caught up in confidence intervals. When you're just getting started with A/B tests, I'd recommend choosing a smaller interval (ex: around 5). 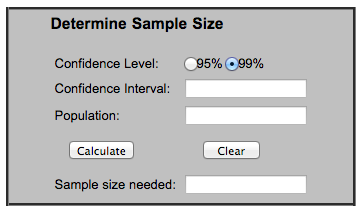 Confidence Level: This tells you how sure you can be that your sample results lie within the above confidence interval. The lower the percentage, the less sure you can be about the results. The higher the percentage, the more people you'll need in your sample, too. Note for HubSpot customers: The Email App automatically uses the 85% confidence level to determine a winner. Since that option isn't available in this tool, I'd suggest choosing 95%. Let's pretend we're sending our first A/B test. Our list has 1,000 people in it and has a 95% deliverability rate. We want to be 95% confident our winning email metrics fall within a 5-point interval of our population metrics. 5) Your sample size will spit out. Ta-da! The calculator will spit out your sample size. In our example, our sample size is: 274. 6) Depending on your email program, you may need to calculate the sample size's percentage of the whole email. HubSpot customers, I'm looking at you for this section. When you're running an email A/B test, you'll need to select the percentage of contacts to send the list to -- not just the raw sample size. This means that each sample (both your control AND your variation) needs to be sent to 27-28% of your audience -- in other words, roughly a total of 55% of your total list. And that's it! You should be ready to select your sending time.